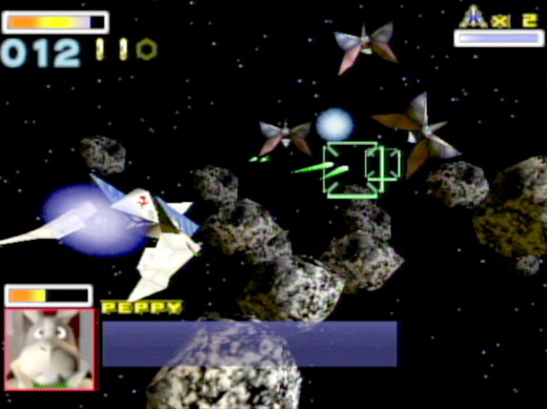 Star Fox 64 - Do a Barrel Roll! For console gamers, the mid-1990s played host to one of the biggest shifts the industry has ever seen. In the space of a few years, the major video companies moved away from 2D visuals and made the dive into the third dimension. In retrospect, it was probably more of a belly flop. The early years of 3D were ofte clumsy at best and, looking back, it can be hard to believe there was a time where gamers looked at the era's ugly textures and crude polygons with awe. Silly as it seems now though, it's a feeling I very much had myself. I can still remember the first time I had that experience. I was walking into the electronics section of a Canadian Wal-Mart. Arriving at that section however, I was met by something that immediately enthralled my imagination: a Nintendo 64 display. At first, I could only look at the thing. Another boy was already using it and, being the timid sort, I didn't have it in me to try and interject. Even just staring over their shoulders though, I was amazed by what I was seeing. The screen depicted a chaotic cityscape filled with robots and alien fighters. 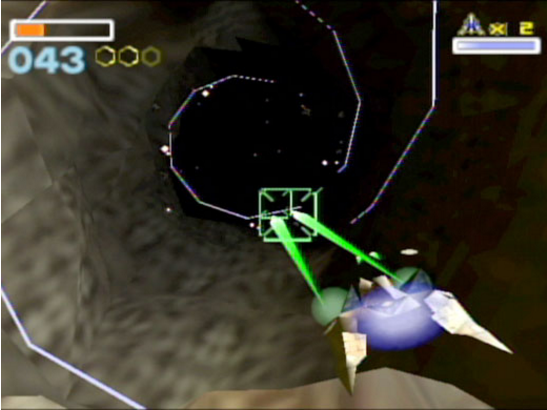 Fighting these invaders, the boy holding the controller was piloting a white and blue starfighter that zoomed around the screen spewing bombs and green lasers. He wasn't very good. After a few minutes, a stray laser struck his already damaged fighter which then crashed to the ground, prompting a scream from one of terror from one of his wingmen. Put off by his defeat, he retreated to find his parents, leaving me to try the game myself. Just as I took the trident-shaped controller into my hands the demo reset and returned to the title screen. 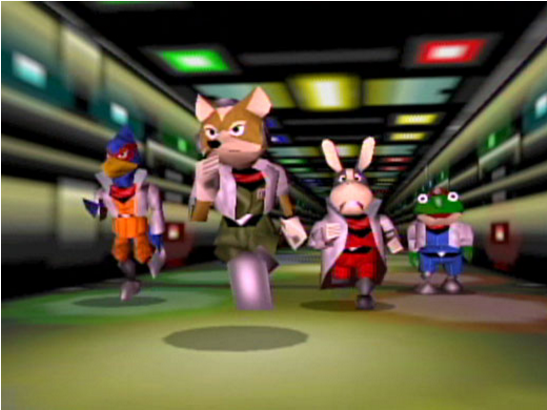 "Star Fox 64" I read aloud, pressing the bright red start button. "Good luck," a robotic voice said as I entered the opening mission. "I won't need it," I thought haughtily back. It turns out I did. 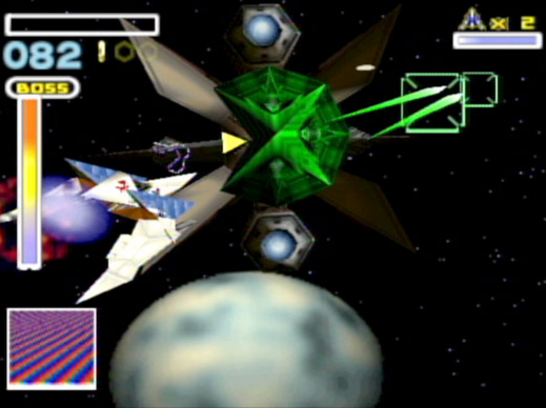 The first time I played Star Fox 64 I was just as terrible as the boy before me. Unlike him however, I wasn't put off by my failure. When I died tried again. And then again. And then one more time until my father finally had to pry me away from the machine to go home. Terrible as I was, I was too captivated by what I was seeing to care about losing. After years of playing games restricted to two dimensions, I was witnessing something filled with glorious, cinematic 3D. Nevermind that the visuals were blocky and crude by modern standards. At the time it felt bigger, better and like nothing I'd seen before. 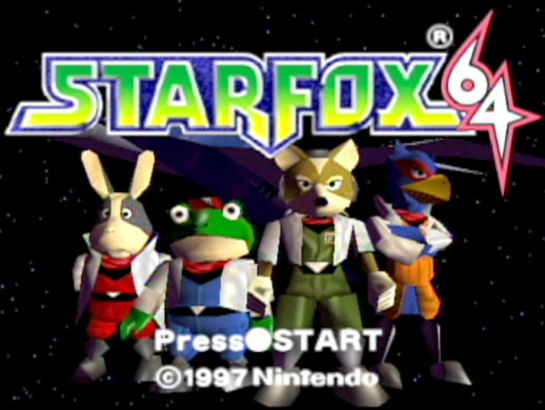 When I finally got my own N64, Star Fox 64 was the first game I bought. And then, when I got my second N64 (the first one was stolen), I wasted little time replacing it. In the years since, it's remained one of my absolute favorites. Every secret, every strategy, every moment; it's etched into my brain so deeply that few other games could really compare. That being said, thinking about it again recently, I found myself wondering how well it actually holds up. It had been years since the last time I took it for a spin and, while a part of me was inclined to believe it was still an object of perfection, I was curious to see if it was still as good as I remembered.